Quick and easy user interface! 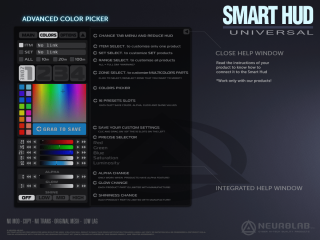 the revolutionary SMART HUD Universal ! 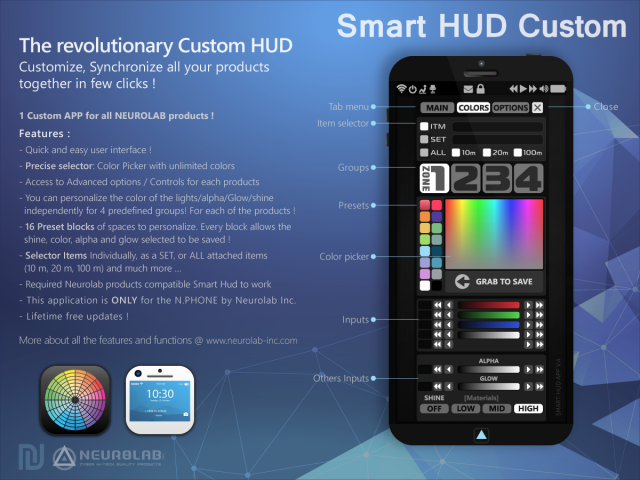 1 HUD for all NEUROLAB products! 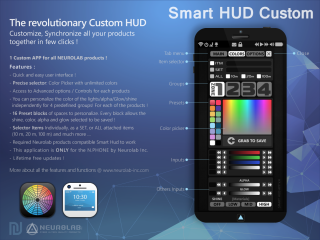 All NeuroLab products are compatible with the SMART HUD and provide a complete and accurate personalization to make your unique products! Synchronize all your products together with just a few clicks! 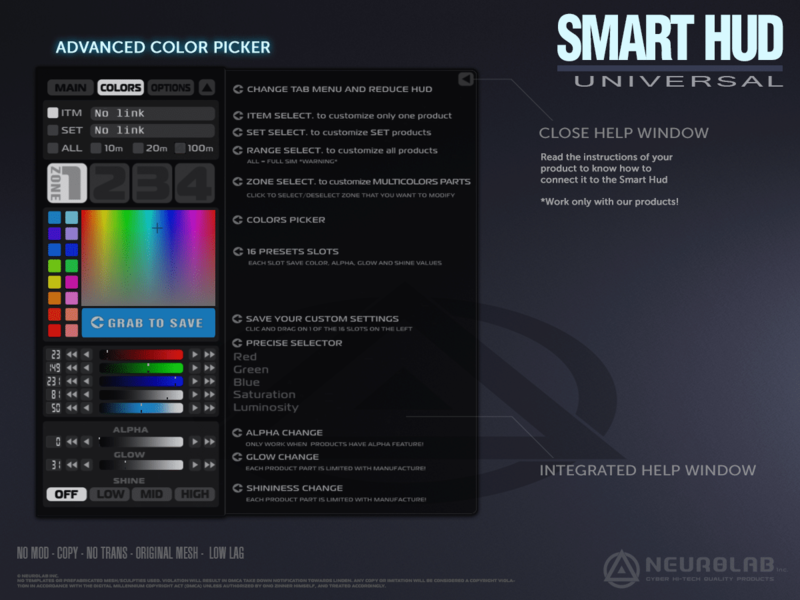 You can personalize the color of the lights/alpha/Glow independently for 4 predefined groups! For each of the products! 16 Preset blocks of spaces to personalize. Every block allows the color, alpha, glow and SHINE selected to be saved!